For the last couple of years, NL DISTRIBUTION has thrilled AOR fans all over the world with re-issues of many rare albums. Among those releases are three albums of HURRICANE, "Take What You Want", "Over The Edge" and "Slave To The Thrill". Also "Blood From Stone" by British rock band DARE, featuring former Thin Lizzy keyboard player Darren Wharton. Other highlights are SKAGARACK with "Skagarack" and "Hungry For A Game" as well as "Fighting For The Earth" by US metal band WARRIOR and the entire back catalogue of German hard rock band BONFIRE. Tokyo Rosenthal presents "Love won out"
This and more is what the critics are saying about Tokyo Rosenthal. But it wasn’t an overnight trip. Hardly, as “Toke” has spanned the music scene for three decades. But it’s most recently that recognition has finally reached him through the recording of his latest CD, “One Score And Ten”. The song “Edmonton” off this album led to Rosenthal receiving the key to the city of Edmonton as an award for cultural and artistic contributions to Alberta’s capital city. This led to a month long tour of Canada last Summer, TV and Radio appearances, and an opening slot for several nights in Toronto for Rock n Roll Hall of Famer and former Byrd and Burrito Brother Chris Hillman. Toke was personally picked by Chris to share the bill. He has also opened for the likes of America, Rick Roberts and Come On In My Kitchen in addition to headlining shows. His recent festival work includes The Edmonton Fringe Festival, The Carrboro Music Festival andTyler’s Americana Festival. He’s also set to headline World Music United 2008 in Austin this November. In a career that started with the country rock boom, Rosenthal has honed his craft and tooled his “rootsy, Americana with a little blues thrown in” sound to perfection. 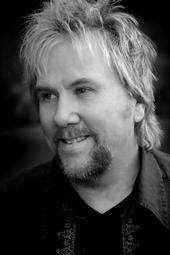 His recent move to Chapel Hill, North Carolina has allowed him to team up with the “master of the electric bass”, Alex Little on stage and famed producer and recording star Chris Stamey in the studio. But prior to the move Rosenthal made his reputation while living in Rhode Island, New York, and Los Angeles. He headed such groups as the legendary Harpo and Slapshot and Treo Gato as well as his solo endeavors. This has helped the new CD receive radio airplay in the U.S. as well as Canada and radio stations in the UK and Europe are spinning Tokyo now too. While content to let the critics compare his style to others Tokyo doesn’t hesitate to point out his influences, who include The Band, The Byrds, The Indigo Girls, Gene Clark, Emmylou Harris, and believe it or not Janis Joplin. Toke’s version of “Piece Of My Heart” always sets off a crowd reaction. In 2008 we see Tokyo Rosenthal releasing a new CD entitled “Love Won Out” that features the single “St. Patrick’s Day”. He completed a Northeast US tour in March and a UK tour in April. In August he toured Japan and he debuts in The Netherlands in October. November sees Toke back in New York City and then making a “Heartland” tour from North Carolina to Texas and back. And of course he’s always playing all over North Carolina. Always writing and always gigging, his musical journey continues. Romance is back . . . and its name is Exile! With hits like “Woke Up in Love” and “I Can’t Get Close Enough,” the band Exile has jump-started more love affairs than last call on a Saturday night. So it’s only fair to warn the romantically susceptible that Exile is touring and recording again—and with the five original members responsible for all that amorous excitement: J. P. Pennington, Sonny LeMaire, Les Taylor, Steve Goetzman and Marlon Hargis. For starters, Exile is a featured artist in the Alltech Festival concerts, a multi-format series of shows throughout the band’s home state of Kentucky. The band is currently recording a five-song extended-play CD (title and label to be announced) to be released late October. Praised for its sparkling, sensual lyrics and warm, creamy vocal harmonies, Exile scored 10 No. 1 hits in just a four-year span. In addition, the band earned three gold albums at a time when gold certification was as rare as platinum is today. In June, Exile reunited for a benefit show in its hometown of Lexington, Kentucky. These five bandmates had not performed together in 23 years. “We were surprised to discover the magic is still there,” says Goetzman. “We feel like a family, and we’re sounding like it, too.” Response to their music was so overwhelming the bandsmen immediately began planning to tour and record again. Formed in Richmond, Kentucky, in 1963 as “The Exiles,” the band first tasted national success in 1978 with “Kiss You All Over.” It held the No. 1 spot on the Billboard pop chart for four weeks. Exile extended its reach into country music in the early 1980s and became one of the most popular acts of that era. The band will perform at The Grand Ole Opry on November 4 and at the 3rd and Lindsley club on November 5 in Nashville. Additional tour dates will be announced soon. It is called "The Purpose of Christmas" and Rick Warren has written a new book of the same name--his first new book since the 30 million global best seller "Purpose Driven Life". The Music CD + Bonus DVD is an exclusive only available at WAL MART Dept. stores starting Oct 28th. David says: I wrote the song "The Purpose of Christmas" inspired by Rick Warren's Christmas message, and co-wrote "Sleep Little Prince of Peace" with top producer/writer's Adam Watts & Andy Dodd (Disney's High School Musical, Switchfoot-Chronicles of Narnia, etc). Adam Watts ( a brilliant new aritst) and I sing this song together. 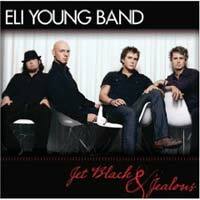 In 2008, the Eli Young Band are one of the fastest-growing on-the-road outfits in the region. The four Eli Young Band members came together purely by chance as students the University of North Texas in Denton, where roommates Mike Eli and James Young found an instant and intense shared musical sensibility. For frontman Eli, the wildfire success of the band is undeniable musical proof that some of the best things in life are just meant to be. The duo, originally known as Eli & Young, mixed their newly penned songs with covers from musical heroes like Rodney Crowell and Paul Simon and started playing regular gigs at a local dive known as the R Bar. That sleepy venue was soon alive with a full house and a full band when next-door college roommates Chris Thompson and Jon Jones joined on drums and bass respectively. Jimmy Davis just released a new record of home demos made on a Yamaha Aw16G. One guy, one room, one amp, one mic, a simple loop and press record. 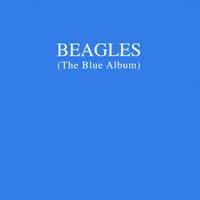 That demo record called "Beagles" sounds amazing and for sure Jimmy found his inspiration through the Beatles and the Eagles. Ken Stacey "I will still be me"
Singer/Songwriter, Ken Stacey released his highly anticipated solo CD, I Will Still Be Me, on July 31st, 2008. Ken Stacey, certainly no newcomer to the American music scene, has achieved a long and impressive list of professional accomplishments. Notably, he earned both Gold and Platinum Records for his vocal contribution to Sir Elton John’s “One Night Only” Greatest Hits Live. He has also toured with Elton John as a background singer and acoustic guitarist. Additionally, Ken’s work includes national and international appearances with Progressive Rock’s super group Ambrosia, as lead singer, replacing David Pack. Original in his musical style, Ken resonates moving vocals and is known for his soulful, poignant Americana Rock, garnished with an occasional sprinkling of British and Latin influences, combined with a musically savvy awareness of Contemporary Pop. It is this innate ability to render uniquely intriguing vocals that have made Ken a sought-after and successful backing singer for legendary musical vocalists, including Neil Young, Bette Midler, Julio Iglesias, Bonnie Raitt, Phil Collins and the late Luther Vandross, among many others. Ken’s influences are equally diverse ranging from the Beatles, U2, Emmylou Harris, Daniel Lanois and Donnie Hathaway. 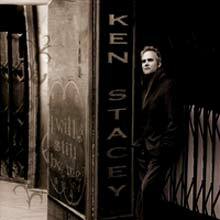 Ken Stacey’s CD, "I Will Still Be Me", features contributions from Davey Johnstone, Bob Birch and Guy Babylon and John Mahon, all members of the Elton John band, David Walsh, former guitarist of The Exies, Greg Leisz from the kd lang band and Bruce Watson, top session guitarist (Sarah Bareilles). A highly experienced stage and studio performer, Shelley has performed in many different musical settings. From pop bands, jazz trios and big bands to symphony orchestras, Shelley has done it all. Her vocals have appeared on numerous independent recordings and radio/television jingles. Shelley's passion and commitment for music is clearly evident in every type of musical setting. Shelley's self-titled CD gave her an opportunity to combine her musical influences. As the writer/co-writer of all nine tracks, this stellar recording highlights Shelley's strength as a vocalist and her development as a composer. Shelley's second CD "Love On Time" was a collaboration with songwriter Ron Varze and encompassed elements of Pop, Jazz, Latin, R&B and Gospel. Many of the songs from this recording received radio airplay. Shelley's third and latest CD has her again collaborating with musician/writer Andrew Glover. Together, they have co-written ten tracks, which are a mixture of Smooth Jazz, Pop, Blues and Latin. Ever passionate and committed, Shelley continues to grow as an artist with her own unique, incentive and original style. JAR (feat. Jay Graydon & Randy Goodrum) "SCENE 29"
Welcome to the world of two modern masters, highly acclaimed songwriters, hit makers and lifelong colleagues Jay Graydon (Airplay, Planet 3) and Randy Goodrum (Chicago, Steve Lukather) working together as the supergroup JaR. Their first album will soon be available - a melodic masterpiece with songs across the board - a mixture of Pop, R&B, AC, AOR and Jazz. It is superbly crafted, loaded with original, sophisticated, catchy songs, with subtle harmonies and interesting melodic hooks. The musical concept is totally new, yet slightly familiar to anyone into the Steely Dan sound, as the songs build on a similar formula with complex jazz-influenced chord structures that are pleasant to the ear with unexpected musical twists, as well as apt, fun and innovative lyrics. Further, the groove is mature with exceptional playing and singing, and as usual Jay Graydon plays his guitar with elegant and intelligent accuracy. 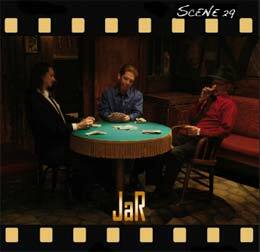 The US release date for JaR's first album SCENE 29 is October 1st with pre-orders at CD BABY via www.JaRZONE.com and Zinc Music will release it on October 31th, 2008. "Scene 29" features RANDY GOODRUM (lead and backing vocals, piano, keyboards, synths, drums), JAY GRAYDON (lead and backing vocals, guitars, synths, drums), CARYL Mack Parker (additional vocals on GPS), TIM HOSMAN (orchestration in the intro of Call Donovan as well as the "Donovan" voice sound in the fade). 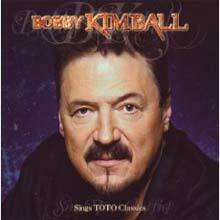 Bobby Kimball is busy working on his brand new solo album and just finished vocals for the new Joseph Williams record called "This fall" to be released in November. At the same time, you can find a re-release of his 90' project with the Frankfurt Rock Orchestra, featuring his performance on TOTO hits such as Rosanna, Anna, Isolation... and Little River Band's "Cool Change"?